***LOADED PLATINUM!!! 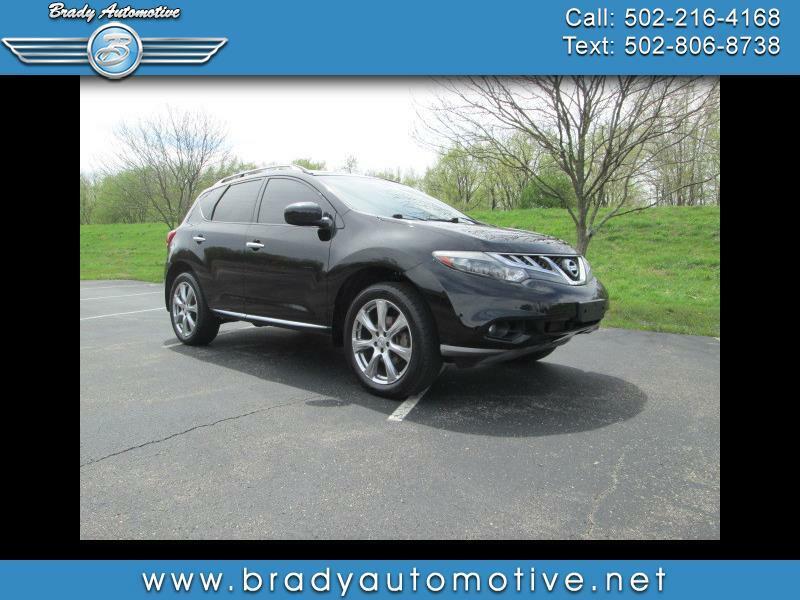 *** 2012 Nissan Murano Platinum 3.5L AWD with 116,667 miles. Loaded with power windows, locks, mirrors and seats, heated seats, heated steering wheel, Navigation, Backup camera, CD, power liftgate, new tires, panoramic roof, sunroof, steering wheel mounted controls, cold A/C, heat. This is a solid and awesome SUV! Super clean inside and out and drives great! Don't miss out on this one and get your chance to own a absolutely beautiful ride! Contact Chris to schedule a test drive or stop in and see us today. Thank you!